We've started our Wednesday enrichment sessions with K, 1st, and 2nd. At least for the first few weeks, I'm using this "extra" time to build drawing (and overall art) confidence with a lot of step-by- step art that emphasizes the idea that even complex subjects can be created from simple lines and shapes. 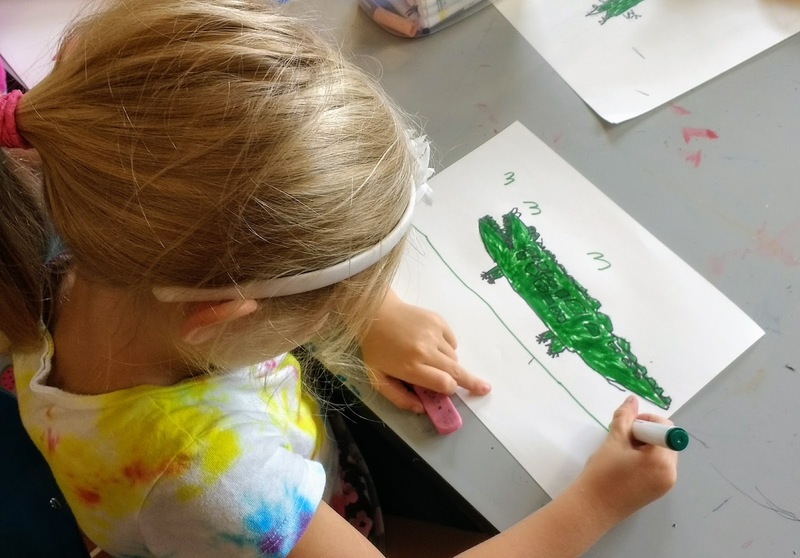 In the photo, one of our new kindergartners finishes off the alligator she constructed with a rectangle and several triangles.